Biobased aerogels offer many opportunities for new applications beyond those developed in the NanoHybrids project. 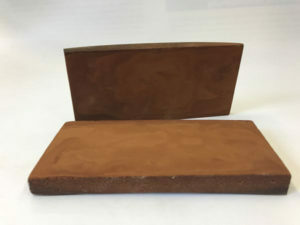 The Intitute of Thermal Separation Processes at TUHH now succeeded in the first production of lignin-polyurethane aerogel panels. These highly porous panels can be used as insulating boards with a thermal conductivity of 24 mW/mK which is much better than polystyrene. Industry is invited to further test the material. The project “Material use of lignin: nanoporous materials” has been funded by the German Ministry for Food and Agriculture (BMEL) and the Agency for Renewable Raw Materials (FNR e.V.). The consortium consists of the two NanoHybrids partners TUHH and Dräger Safety, The Fraunhofer Institut für Chemisch-Biotechnologische Prozesse (CBP), the Universität für Bodenkultur Wien, the Bayerisches Zentrum für Angewandte Energieforschung and Loick Biowertstoffe.